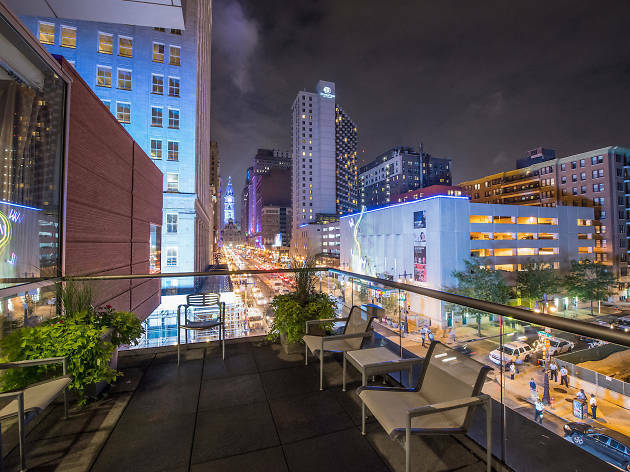 A summer “pop-up bar,” Kimmel Center’s balcony lounge is the ideal destination for theatergoers not looking to stray far from their venue seats. 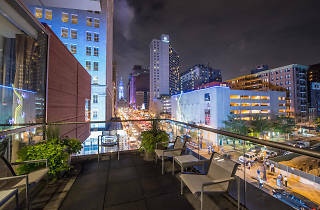 The view showcases the busy-ness of Broad Street—a plus or a minus, depending on your opinion of said thoroughfare—and the deals are abundant, with happy hour prices hitting a low of $3 every Monday through Friday from 5 to 7pm. Regular prices are pretty pocket-friendly, too, thanks to the venue’s participation in the Center City Sips program.